Romantically sublime drop earrings. 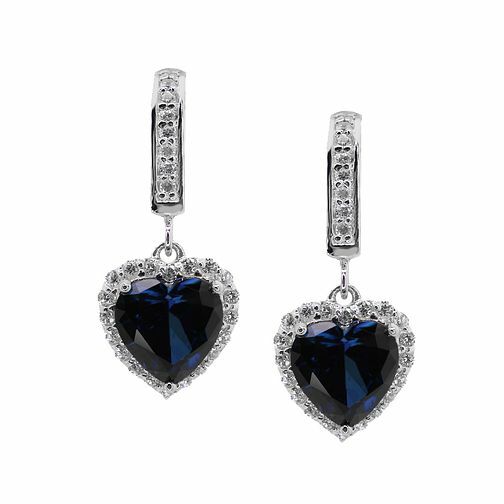 Heart shaped, created sapphire gemstones, framed with sparkling stones, hang elegantly from a bar of sterling silver. CARAT* blends timeless glamour with modern day wearability to deliver luxuriously fine jewellery.